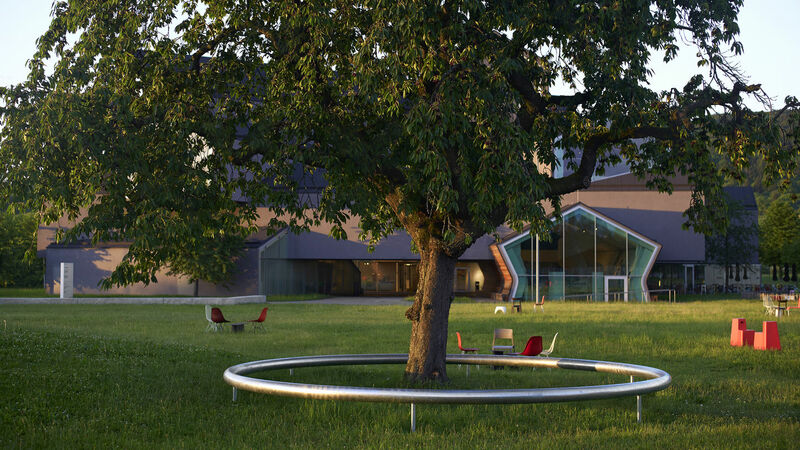 The remarkable ensemble of contemporary architecture on the Vitra Campus brings together the commercial and cultural aspects of the Swiss furniture manufacturer: for decades, the buildings designed by renowned architects have made the production site a magnet for fans of design and architecture from all over the world. 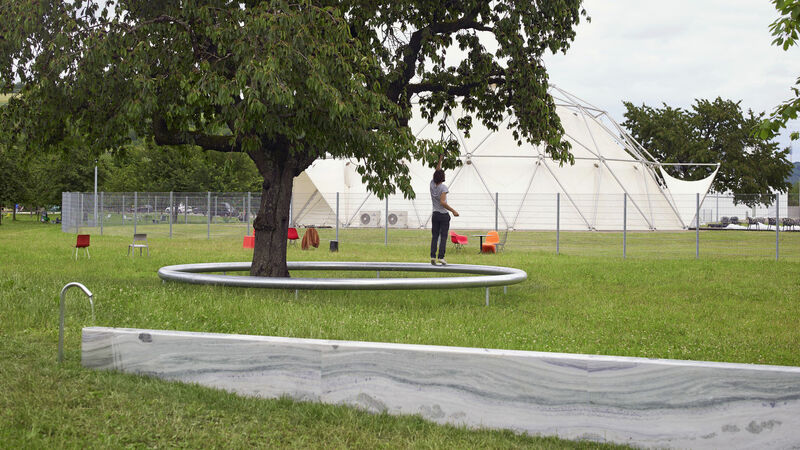 In June 2018, three new objects will be added to the site: "Blockhaus", a small building by the German artist Thomas Schütte, and the landscape interventions "Ruisseau" and "Ring" by Ronan and Erwan Bouroullec. 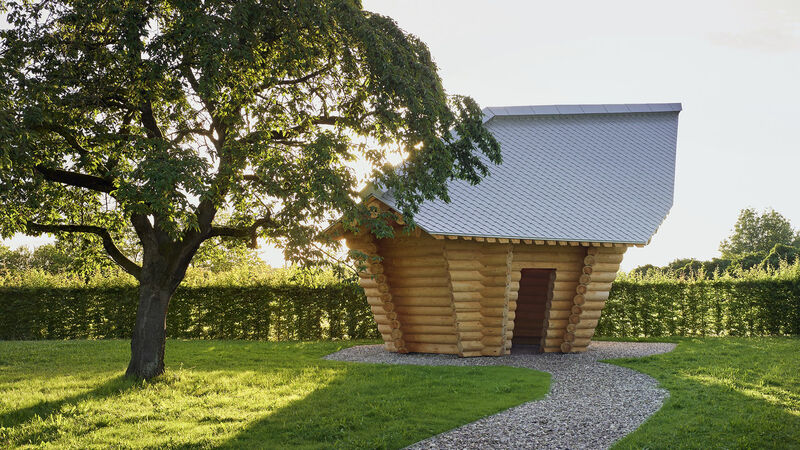 “Blockhaus” serves as a shelter with a watering place, it adheres to different principles than the buildings on the campus designed by architects, thereby presenting an ambiguous antipode. “Ruisseau” is a narrow channel carved in a marble base, filled with running water. “Ring” is a circular platform made of galvanised steel, which appears to float above the ground. Encircling a cherry tree, it serves as collective bench.